Arctic Superflex Blue® has been tested and successfully used for more than a decade in the harsh environment of Alaska's Arctic North Slope. Flexibility is achieved by combining finely stranded 100% copper conductors with a jacket resistant to the abuses of oil, gasoline, salt water, acids, and chemicals. 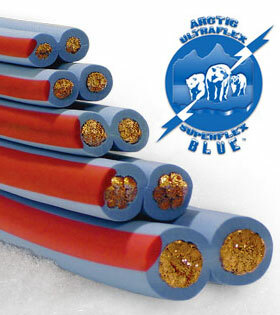 Arctic Superflex Blue® cables are highly abrasion resistance and can be used in most 600 volt applications. 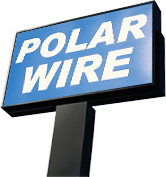 Arctic Superflex Blue® features a polarity stripe extruded into the jacket for durable safety identification. stock and custom jumper cable systems.